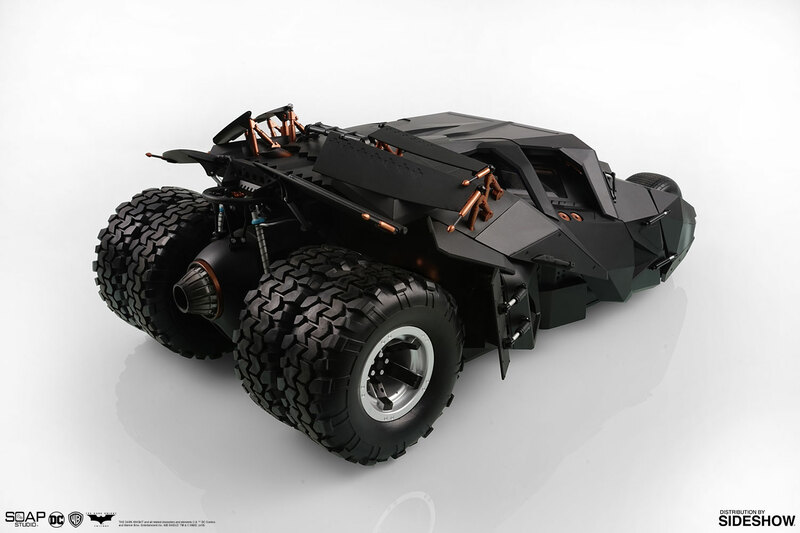 Sideshow and Soap Studio are pleased to present the RC Tumbler Driver Pack 1:12 Scale from Batman: The Dark Knight! 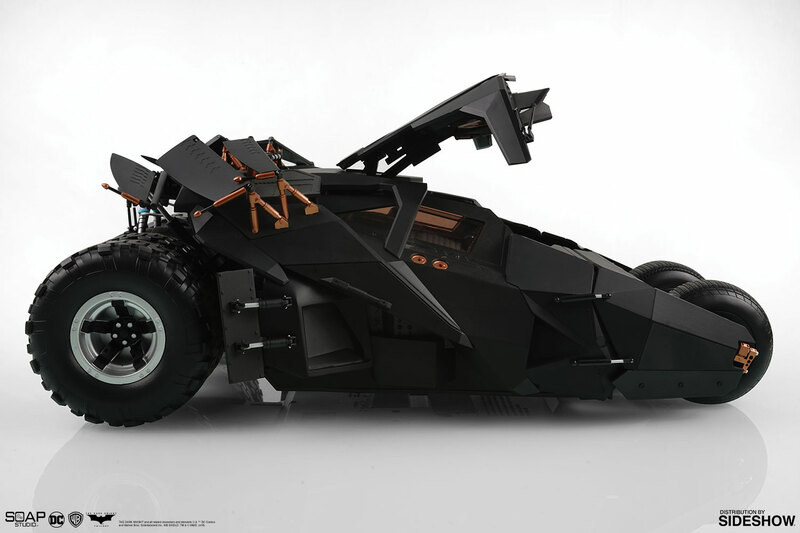 Soap Studio's RC Tumbler features a functioning cockpit door that can open and close, movable spoilers, and LED headlights. 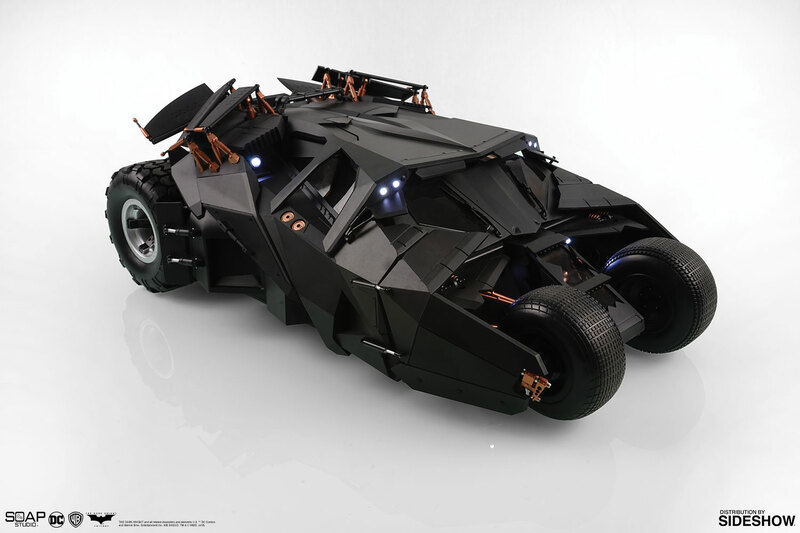 The astonishing Jet Power mode allows a 30% increase in acceleration and movie-like sound and lighting effects! With your smartphone app, you can record video, take photos, use night vision, the intercom function and more! 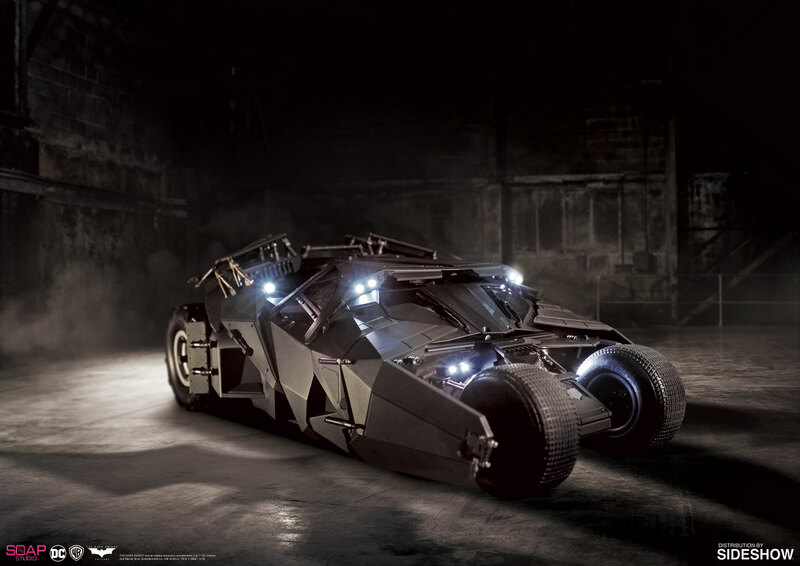 In Christopher Nolan's film, this combat car is designed by the military technology sector of Wayne Enterprises and further modified by adding weapons and high tech features. 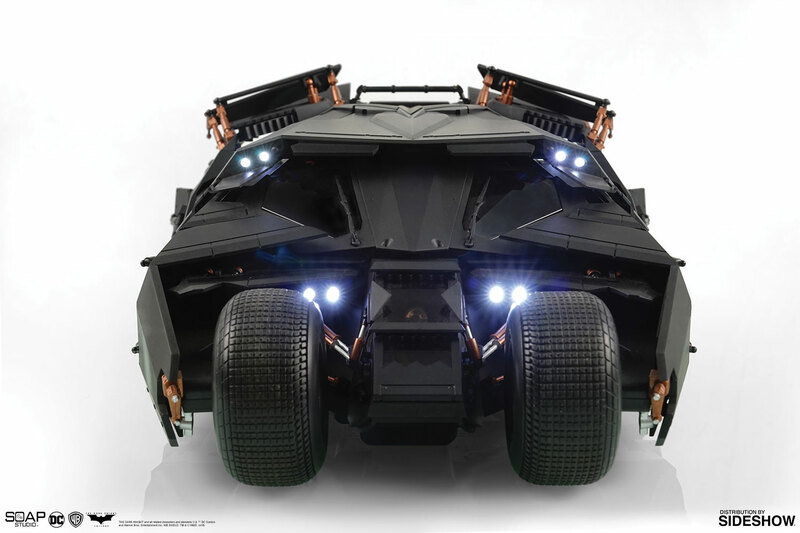 The Tumbler's geometric shape is inspired by stealth fighters, and it features two seats and six tires. 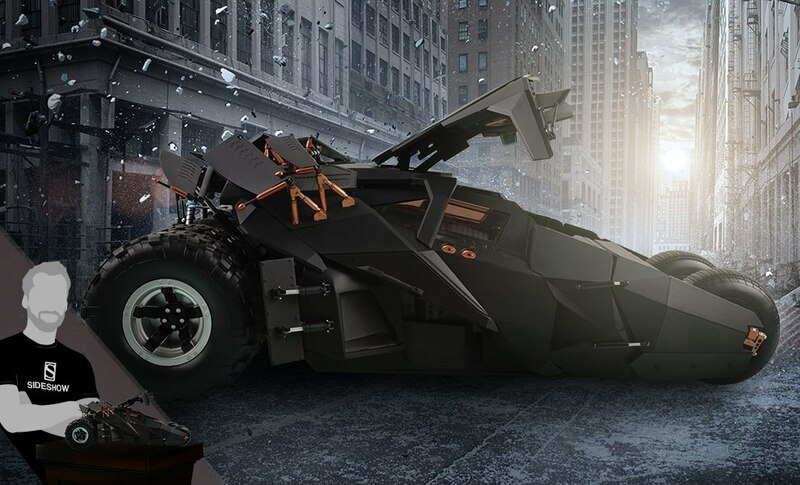 Don't miss the chance to add this remote control Tumbler to your Batman collection!